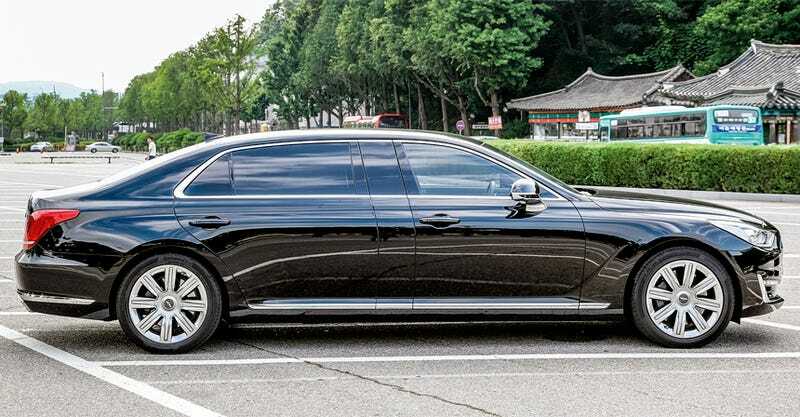 I heard there may be a few G90 limos coming to the US just like the Equus limos did. The rear 3/4 of this car is so American (excluding the taillights). Alternate timeline Chrysler Imperial.